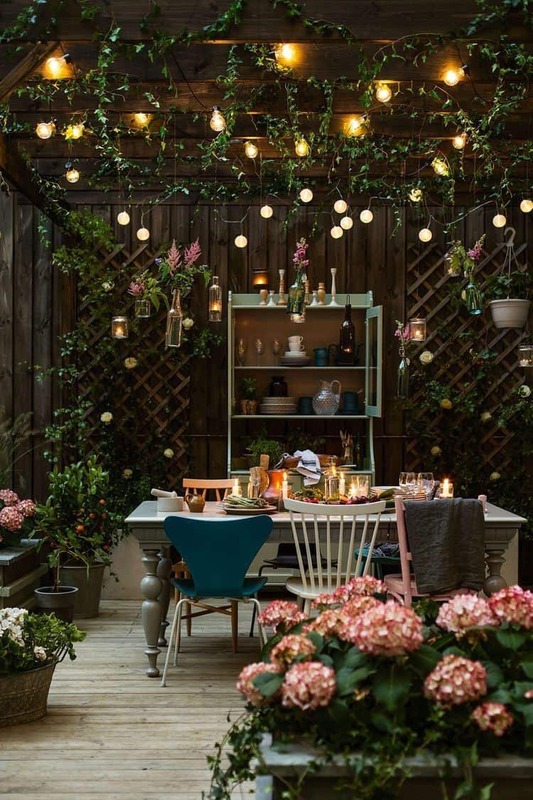 Whether you decide to sit outside to enjoy your space or you choose to eat outdoors, you want to create a chic and charming dining space that makes you feel at home but also gives you that relaxing touch. The following ideas will help you create the perfect space for you and your home that has your personality written all over it. The beauty of Mediterranean decor is how well put together the layout appears with little to no extra added decor pieces. By keeping it simple but having those signature Meditteranean pieces such as a glass table with unique chairs and a fireplace you will be creating the perfect setting. 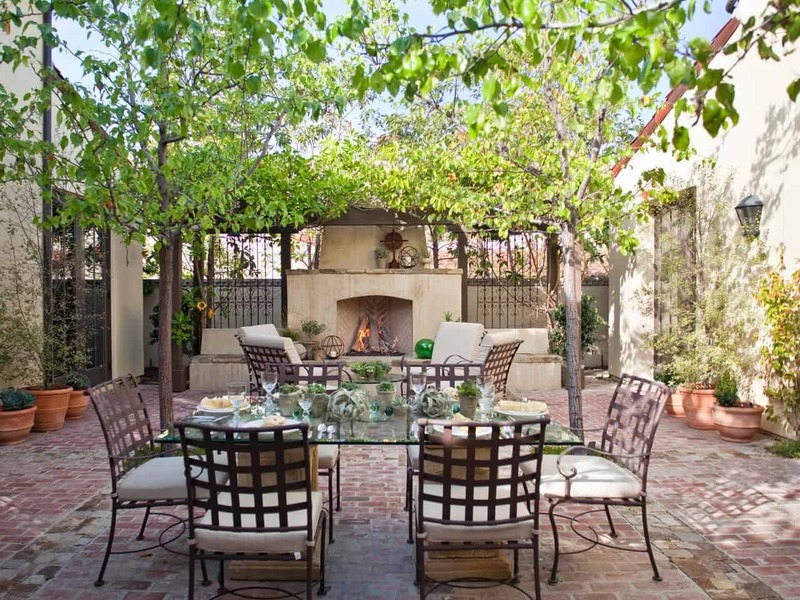 A Mediterranean decorated outdoor space is ideal when you want to entertain due to its versatility in style. Add a Mediterranean inspired seating for your dining table to bring your decorating style home. The idea is to keep the décor simple while having the staple Mediterranean décor items. Not only does it appear charming but when you add an edgy touch to it, it immediately gets elevated with a contemporary feel. Pair with hues of pastel gray and blues with marble or metallics. 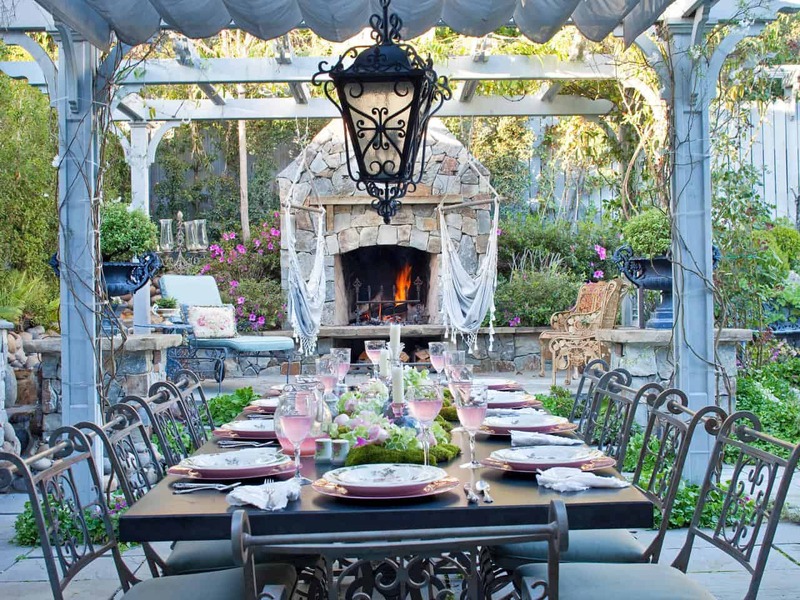 Creating an enchanting almost romantic eating area brings forth a space that is feminine and sweet. Use chandeliers, cool tones mixed with metallics and pastels to bring the alluring aspect to it. 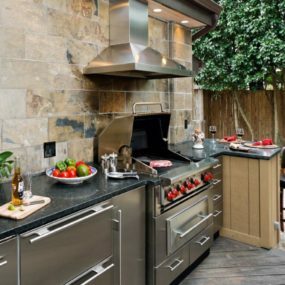 Add a fireplace to continue that whimsical feel throughout your entire outdoor area. If you want to add color but can’t figure out a simple way to do so, consider changing up your cushion hue to a vivid shade that is embraced by the rest of your decor. Add intricate lighting to add to that simple yet colorful world you are creating. We love the idea of a colorful space that is still simple and beautiful. The key is keeping the décor as simple as possible. 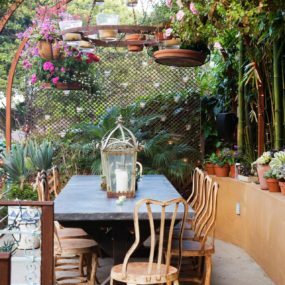 Have a dining table that you don’t use and pair with a simple center table or a modest flower arrangement in colorful hues. Doing so will add to the colorful aspect with nature pieces instead of adding extra furniture. 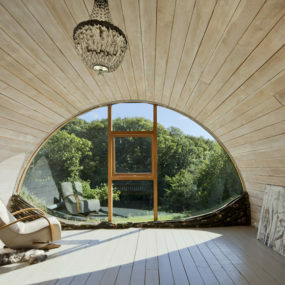 If you are embracing nature you might as well do it the right way by incorporating it into your decor seamlessly. The best way to do this is by adding natural elements that are already a part of your decor. Consider having industrial lamps for that chic feel that doesn’t disrupt your decor. 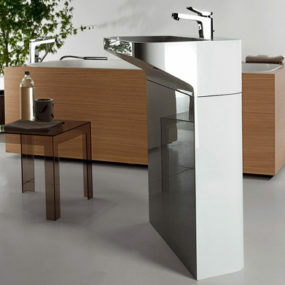 Your surrounding space could be the perfect major element that has that chicness to it. Use a neutral palette and allow your outside décor to make the ultimate statement. 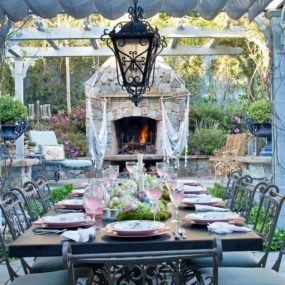 Add a chandelier or a candle element to the area to bring in a more romantic touch. For that signature shabby chic touch add different chairs. Doing so allows you to work creatively with chairs that you want to incorporate but were too scared to do so. Pair with plants for that lived in effect that is still effortless. 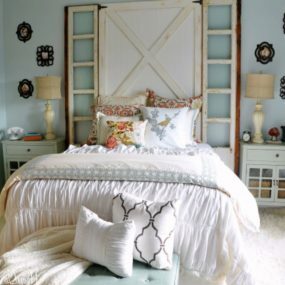 Shabby Chic is the latest trend to come on the scene in a heavy way. Use white tables and white chairs for the shabby feel and pair with crystal and touches of patterned pieces for the bold yet simplistic touch that shabby chic is well known for. Consider fringe pieces if you have access to them. Keep the colors in the blue and red family for that modern coastal feel. 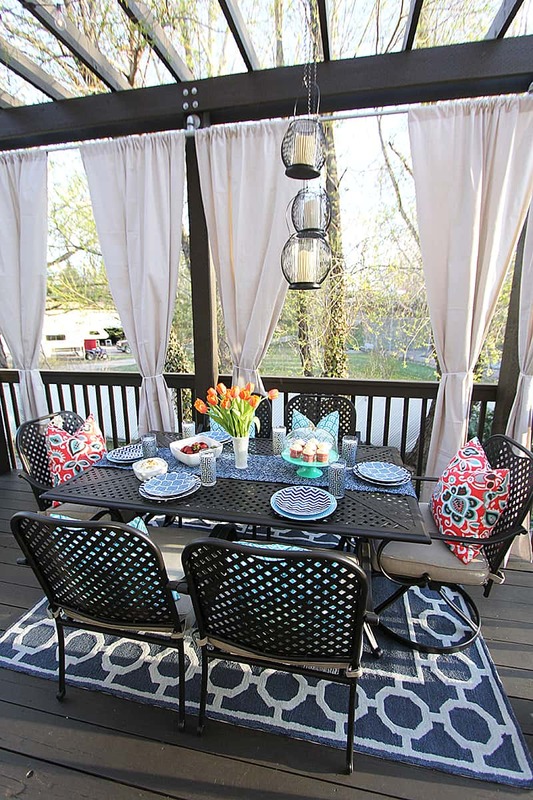 Add a rug in the center of your outdoor seating for that home warmth that is typically used indoors. 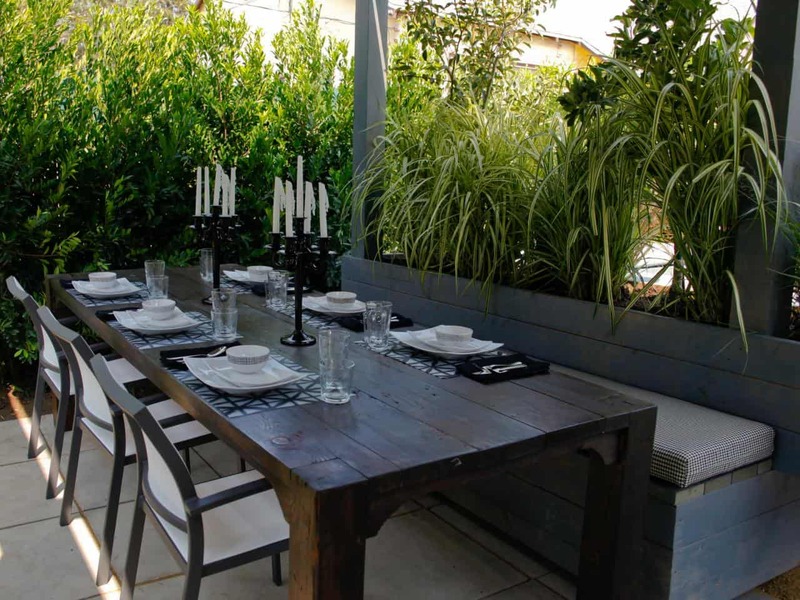 Additionally, add creative lighting to bring the coastal feel directly to the outdoor dining area. 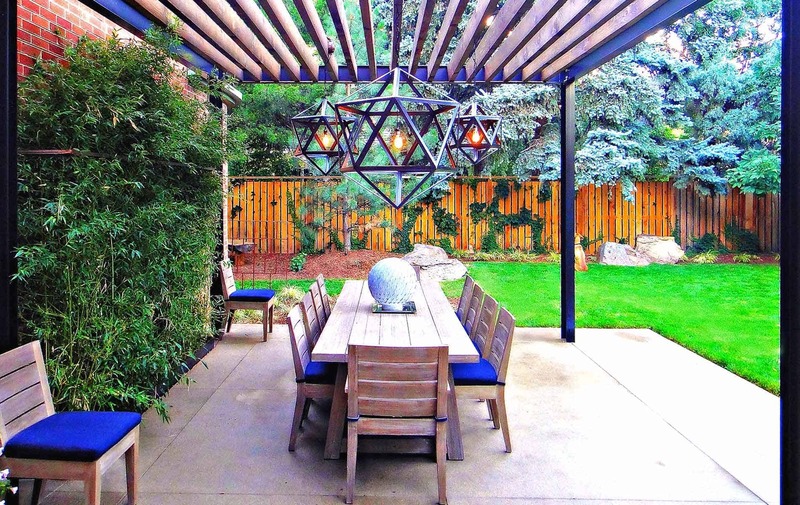 Create an indoor/outdoor atmosphere with a canopy. 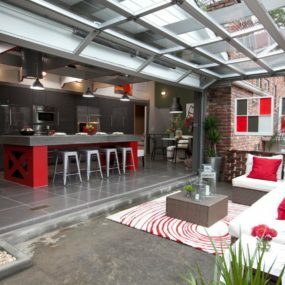 A canopy forms the space and brings this intimate aspect to your eating area. Use nautical hues for that coastal touch, but keep it modern with different seats that still manage to work and look well together. Doing so will ensure the area looks modern yet very coastal. 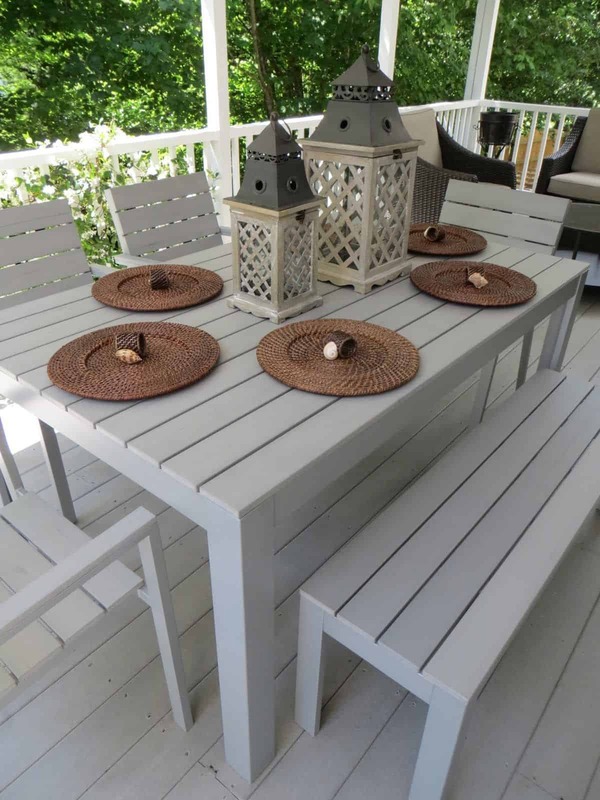 You can easily bring a vacation feel to your outdoor eating space with a rattan dining set. Rattan works great for outdoor spaces, its comfortable and makes a pop anywhere it is placed. Add blue cushions or pillows for that touch of island, and a few flowers to keep it together. Add a distressed table with rattan chairs for that island almost vacation-like feel. Pair with hues of blue and green for that ocean open feel. The distressed table brings that contemporary touch that is very resort-inspired. You may even want to consider a table set made out of rattan. Gray is the perfect definition of a cool and collected color that is still chic. Gray is the perfect definition of a cool and collected color that is still chic. The chic aspect comes from its versatility in being an additional color that works well with any other color pairing. Pair with vibrant hues to bring that feminine charm. Marble tables are typically just laid out as a slap of marble and rounded around the edges. 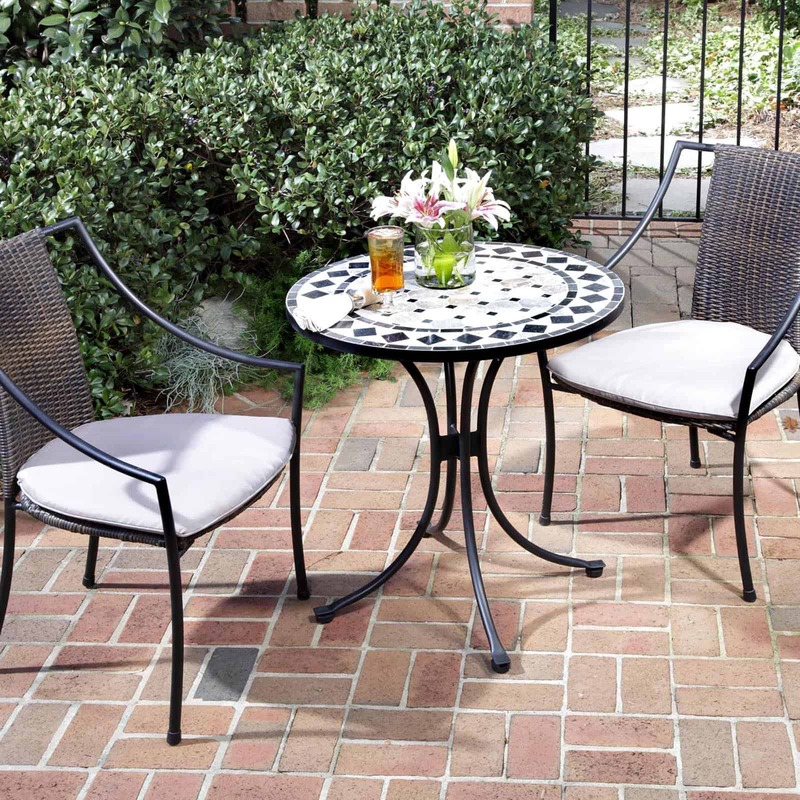 However, if you want to take it in a more contemporary manner consider a marble pattern two seating table. They are intimate and contemporary while still having that calming effect. 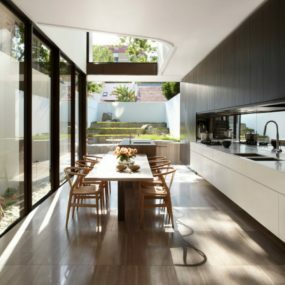 Even though marble is used mostly in the kitchen space it is also an excellent material to use to as part of your eating space. When working with a marble table you want to go with a round shape. Round tables are more intimate which is why marble plays well when you want to create that warm feeling that is beautiful all around. Creating a seating space such as banquette style is perfect not only when you want an intimate area that seats multiple people but it is also perfect when you want to relax with your guests after a fun event of having people over. Banquette seating is great when you have repeated guests that want to lay around after the event is over. They are comfortable and cozy while also being stylish. Add a wooden table to complete the look. 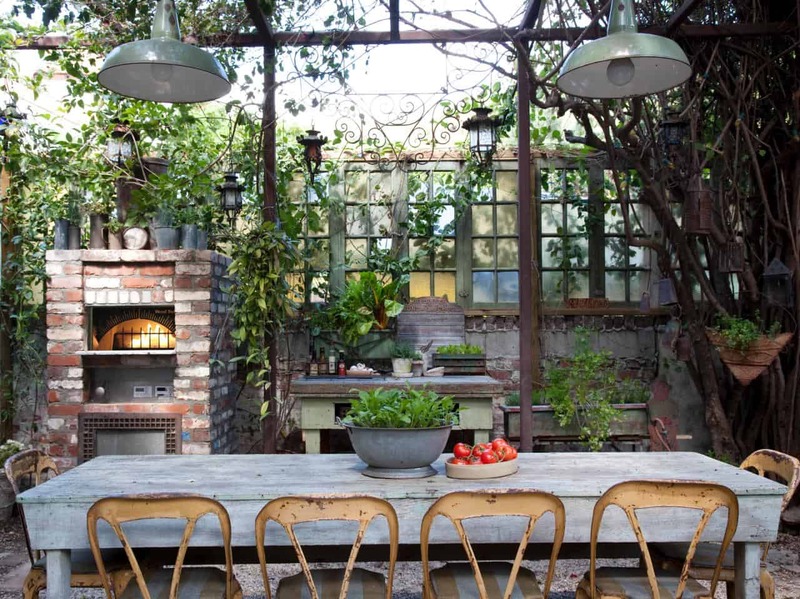 Your outdoor space deserves to be one of your favorite areas in your home. Which of these do you want into incorporate in your home? Share with us in the comments below.